A sweet, intimate little place with friendly Italian staff, Cream Choc is known for it’s variety of gelatos that are a right balance of creamy texture and mouthwatering flavours. With exciting traditional and exotic flavours, you can try everything from peanut butter, Belgian chocolate, mango, pistachio custard apple and rum ‘n’ raisin.With ample portion size, you can make this a mini-meal. They even have freshly brewed coffees and also amazing sorbet options including lemon and strawberry. 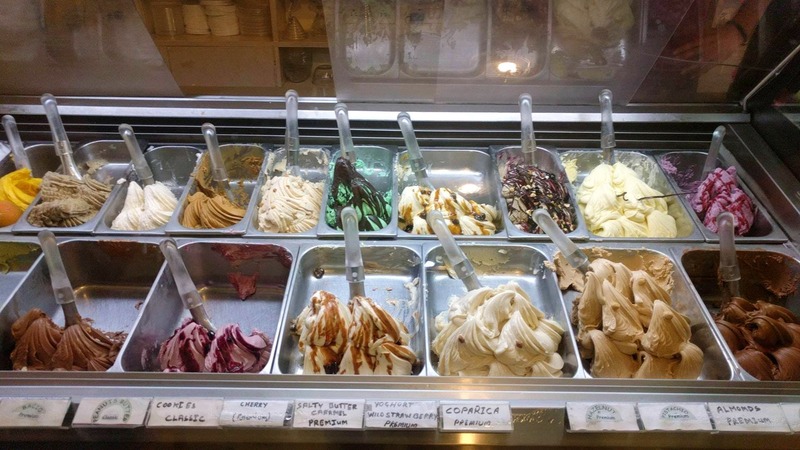 Even though it’s an ice cream place you can get an espresso with a scoop of ice cream – I personally recommend caramel! They only except cash, so carry atleast INR 500 with you.